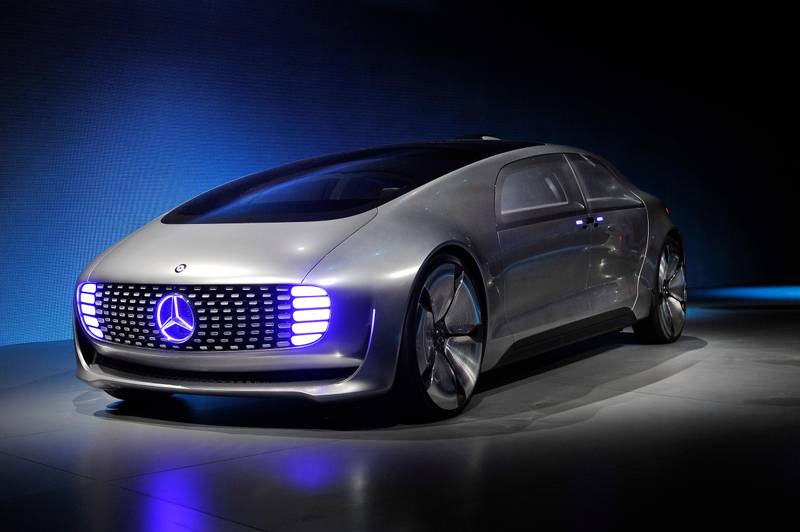 Yesterday, at the Consumer Electronics Show in Las Vegas, Mercedes made heads spin when chairman Dieter Zetsche unveiled their latest concept car: the F-015 autonomous driving vehicle. The F-015 model, which is the German car maker’s first “F-class” vehicle, is a luxury styled vehicle, equipped with a sleek silver exterior, an all-white leather interior, and four movable chairs that swivel inside of the ultra-comfortable cabin. 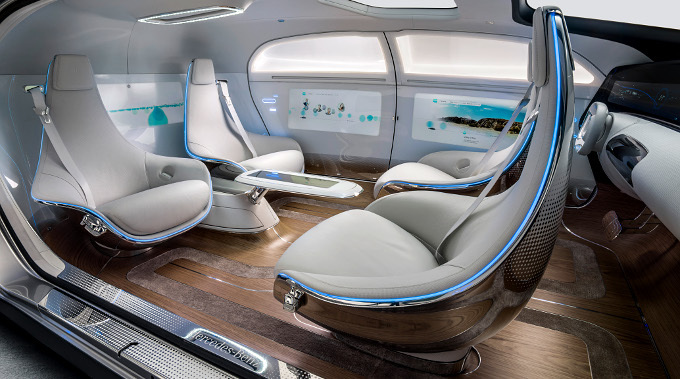 With autonomous cars now at the forefront, a societal inevitability, Mercedes said that they wanted this design to focus more on the luxury that can come with not having to worry about driving. Obviously, part of the luxury of this particular car stems from the versatility that the passengers have while operating the vehicle. Inside of the cabin, the driver’s seat still can face the steering wheel, but it isn’t locked into that position. That’s because the car can drive itself and can be controlled by any one in the car just by swiping the air as if they were manipulating a touch-based tablet. 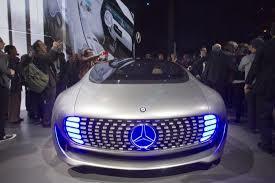 As far as driving technology goes, the F-015 is an all-around master of future driving capabilities. In fact, it has a zero-emissions design with a drivetrain that features a hydrogen fuel cell stack, a lithium-ion battery, and two electric motors that crank out 134 horsepower each. This helps the ride to hit a 0-62 time of 6.7 seconds, while still maintaining a 684 mile range when the hydrogen fuel tank is filled. Basically, it’s an evolved version of the 2011 F125! concept. Helping to propel the autonomy of the vehicle, the F-015 relies on sensors and Car-2-Car and Car-2-Object communications technology, as well as advanced 3D cameras and highly-detailed digital maps. It’s an intricate system that takes the burden off of the driver and makes travelling more efficient and relaxing. This entry was posted in Culture, Mercedes and tagged autonomous, concept, Consumer Electronics Show, Dieter Zetsche, f-015, f015, las vegas, Mercedes. Bookmark the permalink.